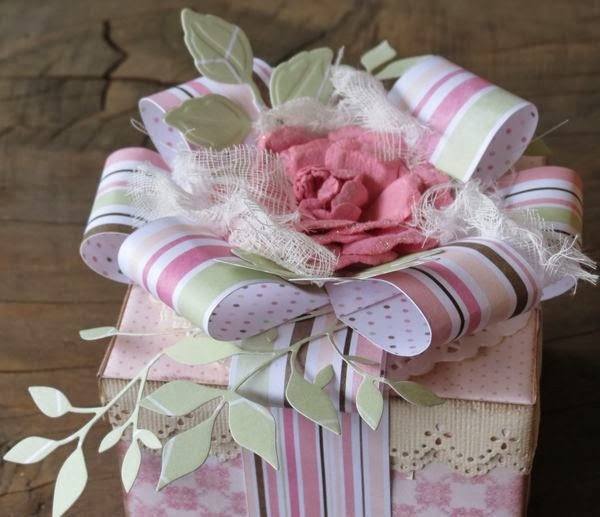 Scrapbooking products provide such beautiful ways of making an ordinary gift look pretty amazing and the Primrose collection with its lovely soft pinks, creams, browns and greens provides a stunning way to jazz up an old gift box. 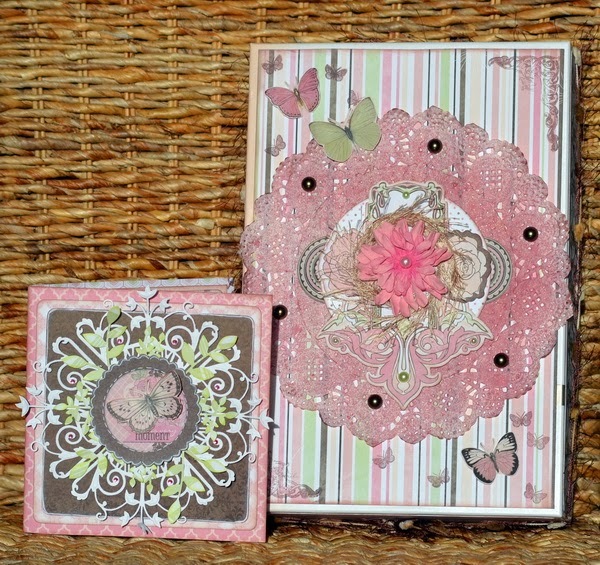 I wanted my card and gift wrap to blend in together so I've used the same shades throughout and the same border punch. To create a bow out of paper I just cut strips of paper and them looped them back on each other, holding them in place with a BoBunny Blossom. 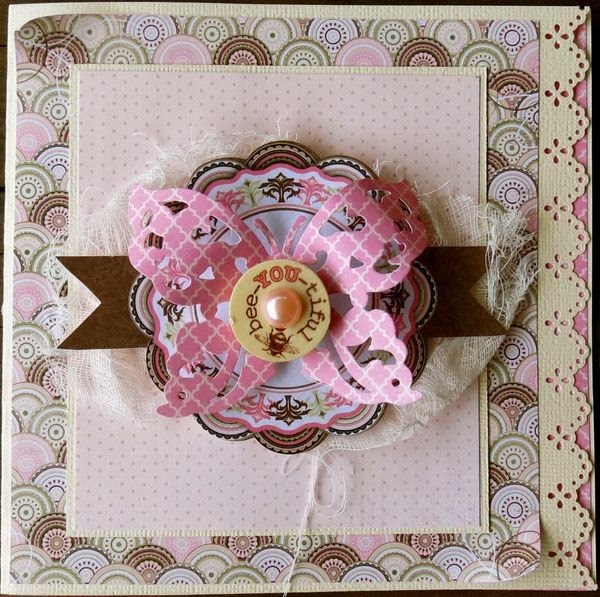 I hope I've inspired you to use your BoBunny supplies to decorate gifts as well as layouts. We would love to see what you do! 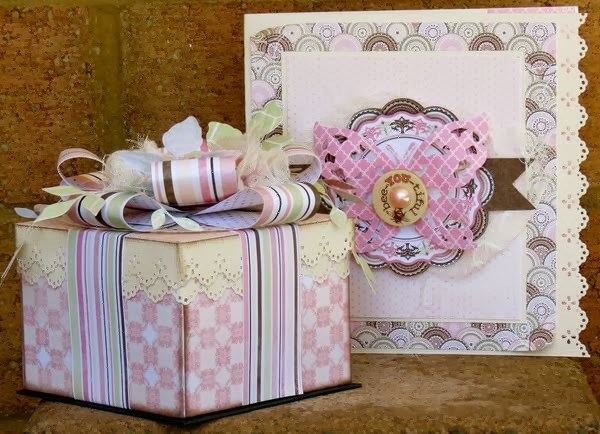 It's my sisters birthday in about 3 weeks time and so I created this card and gift box for her. 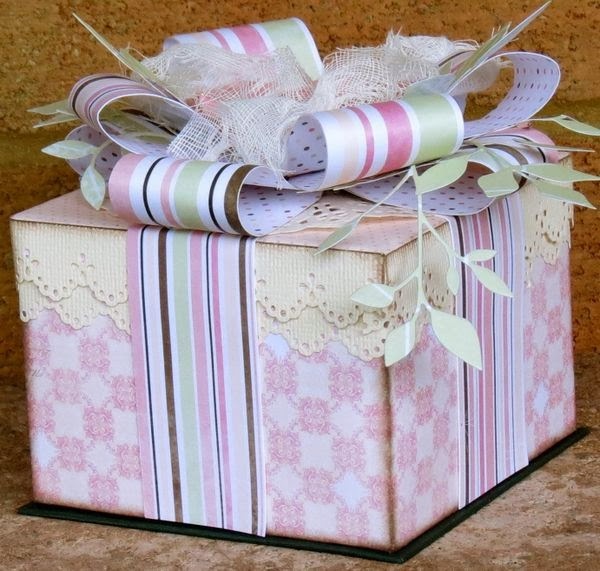 Birthdays are such special occasions and so it's a great time to treat someone with a beautiful card and gift box. The box is upcycled and was originally a perfume set box. The colors on the original box were luckily perfect for these beautiful Primrose papers. 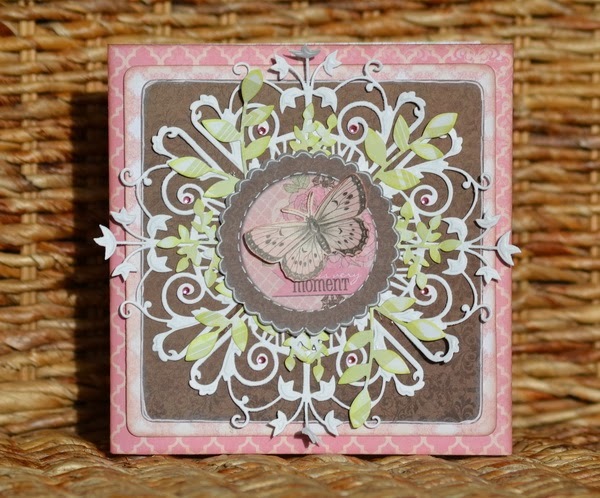 For my card I used some intricate die-cuts which were layered, so makes this card soft and detailed. 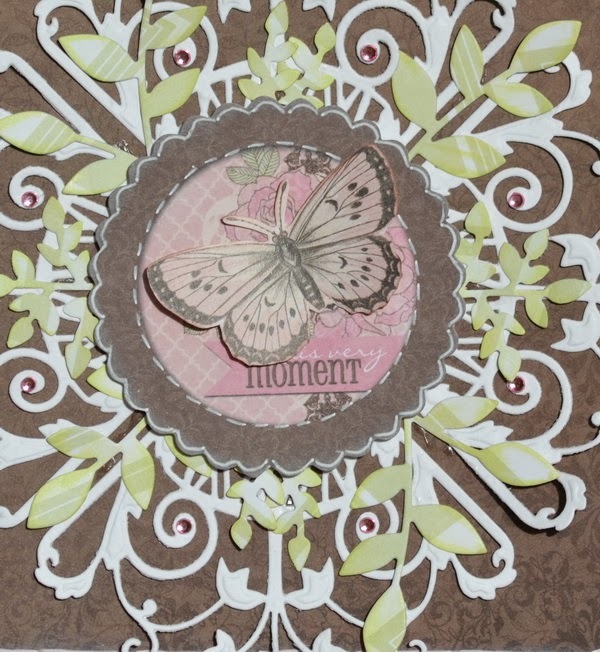 This collection has such beautiful colours and has butterflies too, which are really great for adding those feminine touches. I love re-using gift boxes, so hopefully my sister can find a use for it too! These are all such so pretty - beautifully done!